CO2 full metal 6mm BB Cybergun Desert Eagle + No VCRA defence = ? I've never seen this site before, but they seem to be suggesting you can buy this gun without UKARA, or any other defence, so long as it's a face to face sale, which has GOT to be illegal, right? They're treating it as an air pistol, not an airsoft gun. If you look around their site, they also sell a lot of BB guns but ask for a UKARA number. All the pistols in this section seem to run on the cans of gas pumped into the magazine rather than co2 capsules. They then have a section under airguns listing quite a few bb pistols that use co2. Maybe they take the view that as quite a few airsoft sites do not allow co2 pistols then they would not be covered under the UKARA but come under airguns? Well that is an interesting view to take, as I've never heard anything about it before. The only distinguishing difference between airsoft and air gun replicas are the ammo they use, despite being less dangerous the airsoft ones ought to still be classed in the same way and require a VCRA compliant defence. I have been looking on the internet at the law on airguns and also at several sites selling them. Several sites have co2 pistols (rif) for sale and the only restriction is that you must be over 18 and the transaction must be face to face with proof of identity. Any site selling guns under the BB heading asked for UKARA registration details but would then send the gun by post. All the sites that quoted the law refrerred to the power - under 12 ft/lb for a rifle and 6ft/lb for a pistol otherwise you need a firearms certificate. Using a .22 airgun pellet that means an fps of under 612 for a rifle and under 433 for a pistol (far higher than allowed at airsoft sites). I could not find any reference to RIFs on most of the sites and the only site that did mention RIF was in relation to very low powered airguns that even kids could own. Another point to note is that no one under 18 can OWN or carry an airgun although they are allowed to borrow one but if under age 14 they have to be supervised by someone over 21. You also have to ensure the guns are kept in a maner that prevents an under 18 getting hold of them. Now I suppose some people will wonder why we need UKARA or site membership to buy our RIFs when you could buy a more powerful and potentially more dangerous airgun RIF and I don't know the answer. 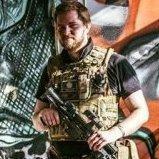 However as it is easy enough for anyone over 18 to comply with the airsoft rules and this also allows our under 18 players to own RIFs and IFs then does it really matter. It could also be the case that the whole airgun community have just missed the bits about control of RIFs. I think most of these have a far higher fps, even on 6mm BB's, than a normal GBB and will fall within the limits set for airguns rather than airsoft guns, presumably why they move them into the airgun section. As well as my GBB airsoft guns I have a couple of very realistic looking CO2 air pistols that would fall under the RIF description, until examined close up, and they can be bought quite legally without needing to comply with any law other than those relating to airguns. On the airgun forum it says that a .22 pellet which is 5.5mm and weighs 0.93 grams can be fired from an air rifle at up to 612 fps and from an air pistol at up to 433 fps which does sound more dangerous that airsoft guns - but they do not shoot at each other! The site also mentions sone exceptions as shown below and it seems that if you have a very low powered air gun that is considered a toy the the RIF rules do apply. The rules do sound a bit like something out of a `Yes Minister' sketch. 1) It is not an offence for a person to have with him an airgun or ammunition whilst being a member of a Home Office Approved Club in connection with target practice. 2) Air rifles with a muzzle energy in excess of 12 foot pounds (which require licensing) are not subject to the general restrictions listed above. 3) An "airgun" with the kinetic energy of less than one joule is considered a toy and is therefore not covered by the above restrictions but may be considered a realistic imitation firearm (if it looks like a gun). The sale of realistic imitation firearms is now banned with one or two minor exceptions, mainly for historical re-enactment, museums and television/film/theatrical performances or as a recognized member of an airsoft site affiliated to the Association of British AirSoft. © "